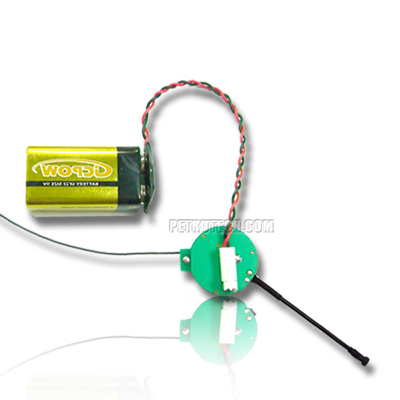 A VOX (Voice Operated Xmitter) spying device is a mini transmitter that can be hidden in various places. In contrary to many spying covert transmitters, the VOX transmitter is activated by voice. As soon as it is connected to a battery it will begin transmitting, on the UHF band. The VOX transmitter will continue transmitting for a short period of time, programmed by us. If during the transmitting preset time it will pick up any sound or voice, it will continue transmitting loud and clear, to a frequency matching receiver, which is also programmed in our labs. You can easily listen from distance. When there are no voices or sounds around the microphone, it will quit transmitting, and switches to "standby mode", waiting for a sound / voice. As soon as the microphone will pick up a sound - it will switch to active transmissions. 1. Huge battery preservation on this transmitter. 2. Huge battery preservation on the receiver. 3. During standby mode, the VOX spy transmitter cannot be detected. 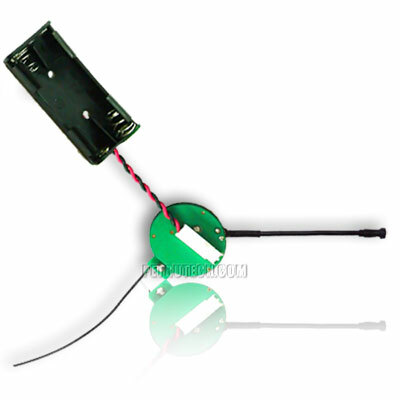 This is the ideal, high power spy micro transmitter, which will give you the best results! The output power on the 433MHz band is 60mW. We can provide endless frequencies within the 400MHz to 500 MHz. The UHF VOX transmitter uses the newest and highest quality microcontroller for the highest quality performance. HIGH RANGE - Covers an area of up to 4000 m² line of sight (tested with ICOM IC-R6 from the forth floor). Minimum 500m² in urban area (Line Of Sight) from 4th floor. Professional quality PROGRAMMABLE miniature UHF VOX ACTIVATED AUDIO surveillance transmitter. The usual problems with many other bugs are short Battery lifetime and the low output power. This device makes it possible for an incredible lifetime of the battery, as when there are no sounds and voices, the transmitter goes in standby mode. In this state, it draws only 1.3mA, however when a sound or voice is reached to its sensitive microphone, it switches immediately in transmission mode. If the device has to be concealed in a difficult, small place, the button type batteries are very effective. It is just a very simple "throw and go" job. If the place is noisy for longer time, using 2 x AA or 2 X AAA batteries is prefferable. It is great for room monitoring, baby listening, nature research, etc. High-sensitive microphone and high frequency stability (PLL quartz oscillator). Frequency is fixed and can not be changed. It is possible to receive the signal using most UHF NFM scanners, or transceivers. This is THE best listening devices in the market! This bugging spy transmitter is designed especially for places where the reception is difficult, as crowded areas or ground floor areas. The P91 broadcasts very powerful, clear sound. The transmitter is designed and tested in our specialized laboratory and tested as well "on field" by high skilled engineers for maximal distance. Working Voltage: 2 x3V (AA or AAA) or ONE X Lithium ( CR2450 to CR2477) or ONE x 9V. 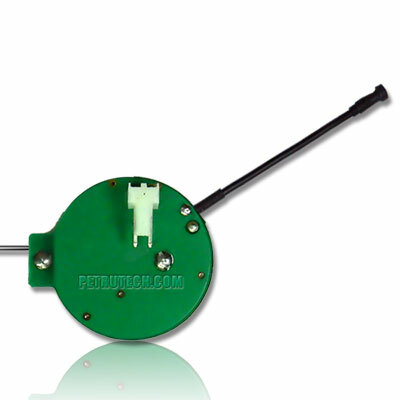 External 4mm diameter on 5.5 cm thin cable microphone. Transmitter's frequency range: NFM (UHF) 433.9-433.99MHz CRYSTAL STABILIZED. Please note: We can supply several frequencies on demand, however it may take up to 4 business days supplying special frequencies on UHF 433 or 418 MHz band. If required, please contact us. 1 Crystal controlled PLL PROGRAMMABLE P91-3 SPY BUG Transmitter. Very professional. I couldn't believe that I'll receive it so fast! Incredible distance! I received it in less than week. It works perfect! The maximal distance was 2 miles from my house. Very clear audio. Recommended!! !